With the cessation of hostilities against Japan following VJ Day in August 1945, plans were put in place to form an Army of Occupation in Japan. 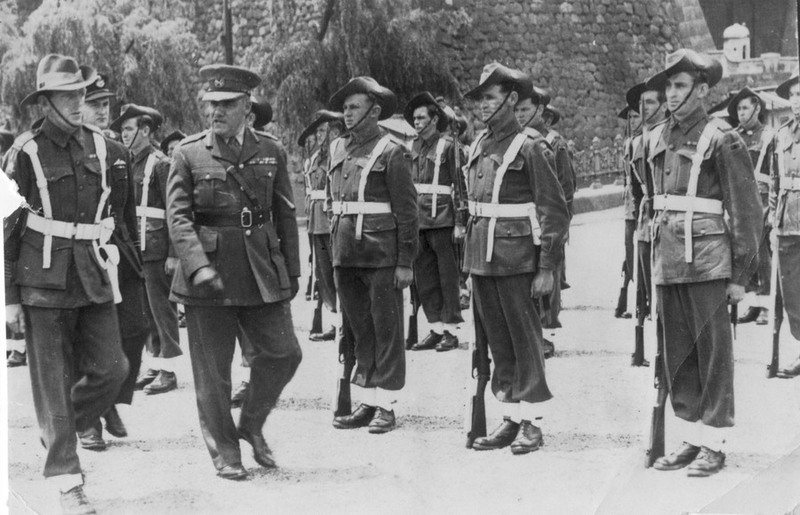 The battalions raised to form the basis of this force were later to become the basis of Australia's new Regular Army. One of them became the basis of Australia's commitment to the Korean War. The British Commonwealth Occupation Force (BCOF) was raised and Australia contributed a Brigade sized force, formed in Moratai Island in the Dutch East Indies (now Indonesia) from volunteers among the troops assembling there for repatriation back to Australia. The 34th Brigade commanded by Brigadier Robert Nimmo (who later served with distinction as the Chief Military Observer in Kashmir). Three Battalions were raised; the 65th, 66th and 67th, as the core of the force, their designation changing respectively to the First, Second and Third Battalions of the Royal Australian Regiment in 1947. These units were to form the core of the Australian Army for the rest of the 20th Century and into the 21st as a professional regular Army. The three Battalions were based at the former Japanese Naval base at Kure in southern Japan. They were progressively repatriated back to Australia, with 3RAR, 77 Squadron RAAF and a number of other units remaining behind in Japan. They were to form the basis of Australia's commitment to Korea when the Cold War went hot in 1950. Showing 1 of 1 image.